Hone and polish your blades with the Leather Strop. This handcrafted, genuine leather hanging strop has reinforced ends and a rectangular metal ring, and it can be used both with or without honing compounds depending on your blade and technique. 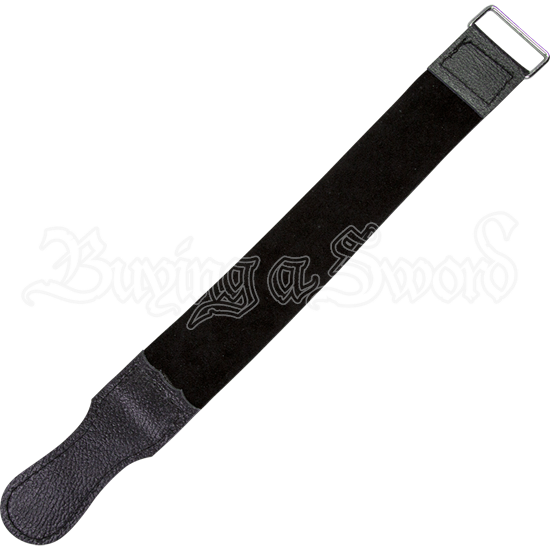 Using a leather strop finely sharpens and removes burrs from the edges of metal, making it handy to have for knives, daggers, razors, and other small bladed weapons and tools. 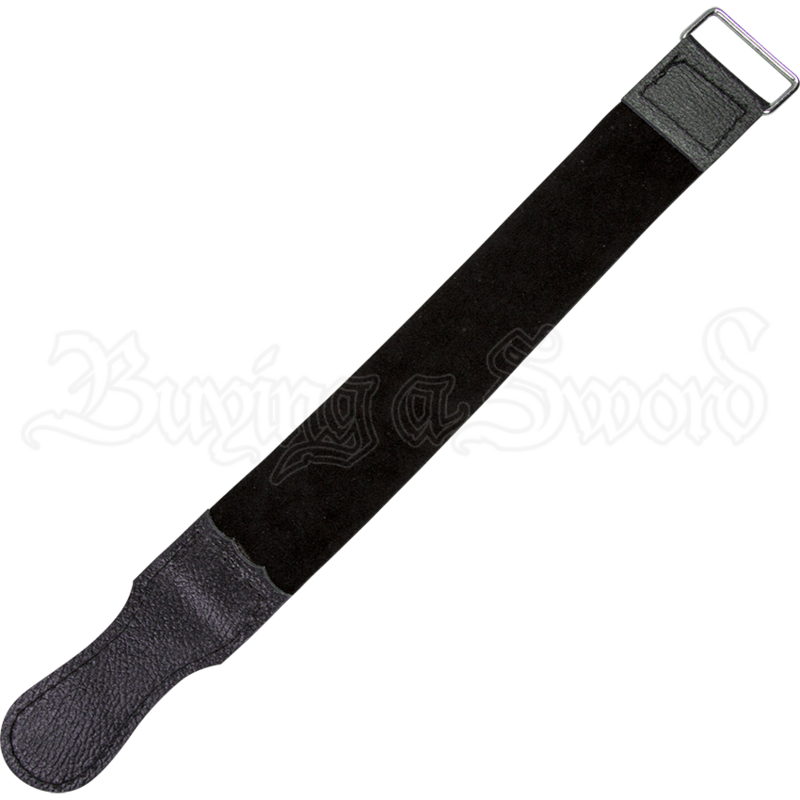 Add this essential black leather strop to your sword and knife maintenance gear and give your blades an extra level of attention.